It has become increasingly clear in recent months that politicians in New York are committed to pursuing policies that blame and penalise technology for NYC’s deteriorating transport system. In fact, technology-based solutions, such as Uber, Lyft and Via, are rare bright spots in the city’s daily struggle to provide adequate mobility to its residents. Instead of targeting technology companies, the city should be building partnerships with the private sector to support innovative solutions and expand their reach. Traffic speeds in Manhattan have slowed perceptibly over the past few years. Bus and subway ridership is down – our elected officials are right to be concerned. Unfortunately, instead of advancing thoughtful legislation, the Mayor and City Council have chosen to point a finger at just one segment of the transportation industry: ride-hailing apps. The Council’s solution, a cap on the number of for-hire vehicles (FHVs) in the city, is opposed by transportation experts and economists and finds little support even in the city’s own data. 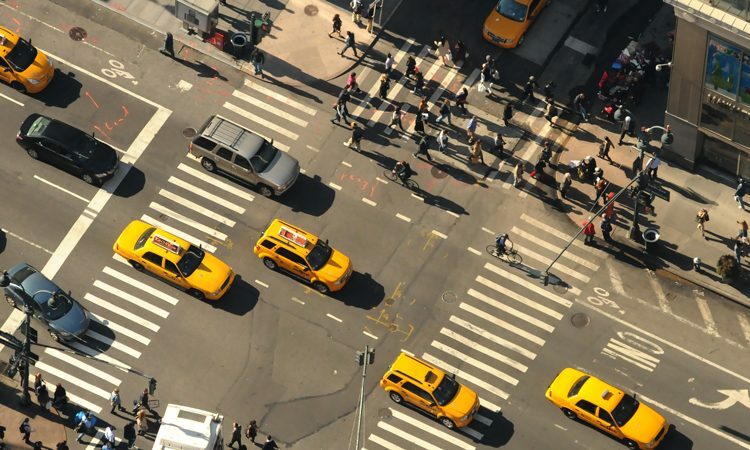 It is an attempt to impose a blunt and obsolete approach – a ‘taxi medallion’ system – on a complex problem that desperately requires bold and forward-thinking solutions. We’ve been down this path before. In 2015, citing concerns about the rise in the number of FHVs and their impact on congestion, the Mayor sought a similar cap. The Mayor’s bill faced tremendous public opposition and was eventually withdrawn. The city then paid consultancy company McKinsey $2 million to conduct a study that revealed ride-hailing was not contributing to increased congestion. The main causes of slowing traffic speeds, according to that study, were the growth in truck deliveries, construction, tourism, population and jobs. The Mayor and Council aren’t just ignoring data that clearly demonstrates ride-hailing isn’t the problem, they are forgetting the significant benefits this technology has brought to NYC. Before Uber, Lyft and Via, it was often impossible to hail a taxi, especially in the outer boroughs. Discrimination by taxi drivers was an every-day challenge for New Yorkers of colour. A study published this week by SAFE, a non-partisan, non-profit organisation focused on reducing America’s dependence on oil, showed that across America ride-hailing apps have improved transportation access for middle and lower-income families, have occupancy rates that are higher than taxis and personal vehicles and actively help to reduce congestion. 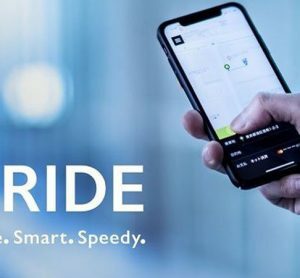 While ride-hailing services offered by Uber and Lyft have greatly advanced mobility in NYC, ‘microtransit’ solutions – on-demand, shared vehicles that pool multiple passengers headed in the same direction – pioneered by Via hold even greater promise. A recent study by the Taxi and Limousine Commission proved what we had known for years: Via’s on-demand shuttles utilise vehicles more efficiently than any other ride-hailing platform, and median earnings for drivers who work with Via are 50 per cent higher than their peers driving with Uber or Lyft. Forward-thinking cities and public transit operators around the world – Singapore, Sydney, Oxford, Berlin, Los Angeles and Arlington (Texas), to name a few – are embracing the potential of microtransit. Those cities are tackling the challenges of increasing congestion and declining public transit ridership by using Via’s technology to deploy on-demand bus systems that complement or replace existing inefficient public transit services. Unlike self-driving cars, microtransit works now​ and is already helping reduce congestion and emissions across the globe. Here in New York our transit problems are no different from those of other major cities: worsening congestion and aging, strained infrastructure. Technology did not create these problems, but it can be part of the solution. NYC has the opportunity to be at the forefront of innovation, setting the national conversation for how smart cities can utilise ground-breaking technology to build better transit and dramatically improve economic and social mobility. The city can do this in many ways. First, the Council should amend the cap bill to ensure microtransit can continue to thrive. 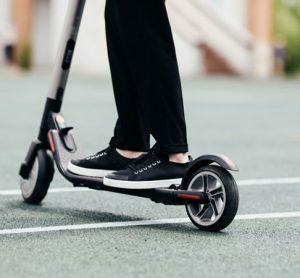 All this would require is a modest exemption to the cap, permitting the addition of high-capacity (six or more passengers) vehicles used exclusively for shared rides. Without such an exemption, microtransit services will not be able to grow the number of high capacity vehicles in the city and will be forced to provide shared rides in low-capacity, inefficient sedans that make up the vast majority of the existing for-hire vehicle fleet. Second, New York can promote and launch technology-enabled transit programmes, re-imagining antiquated bus or paratransit services to be on-demand, flexible and better suited for the needs of our residents. 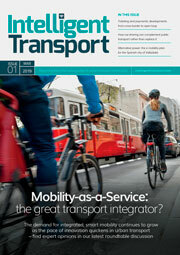 A city’s transportation network is crucial to the prosperity of its residents and economy. If we are to displace the private car and defeat congestion, we must move beyond the traditional view of public transit as large, fixed-route buses and trains. The City Council and Mayor should embrace technology-enabled transit and expand access to on-demand mobility to everyone.